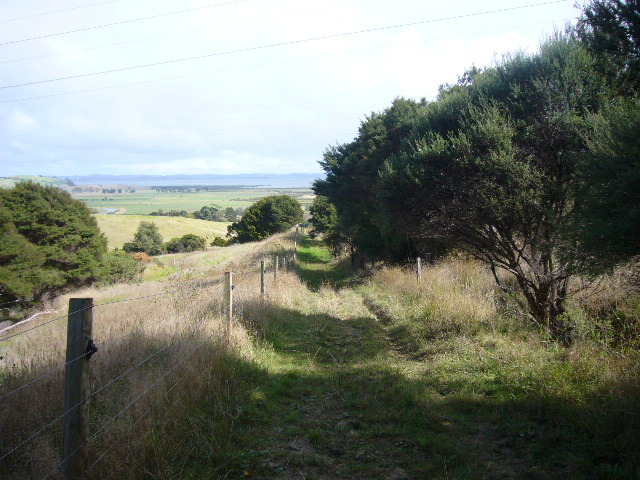 The CUE Haven site is quite undulating and it is about a kilometre from the entrance to the top boundary. 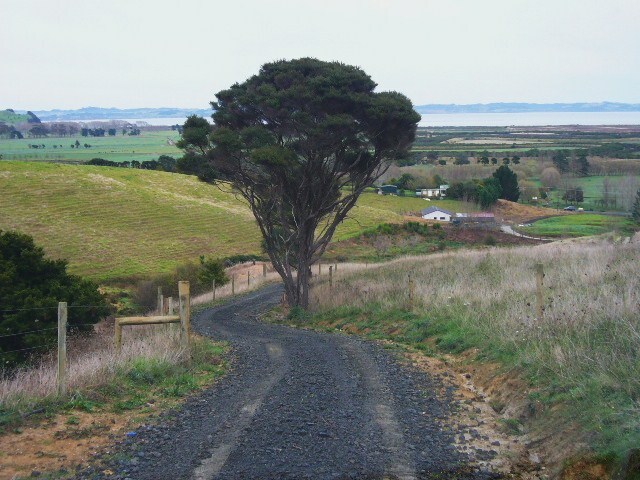 Initially, there was no road on the property, but there was an old cattle race that was designed to provide central access to the grazing paddocks. 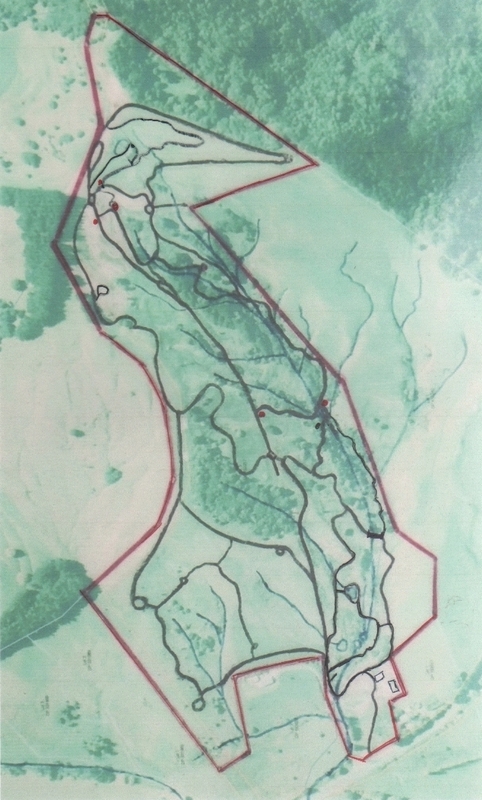 The race bisected the farm and was put in without regard to the natural contours of the land. You needed a 4 wheel drive vehicle to negotiate the race in good weather. 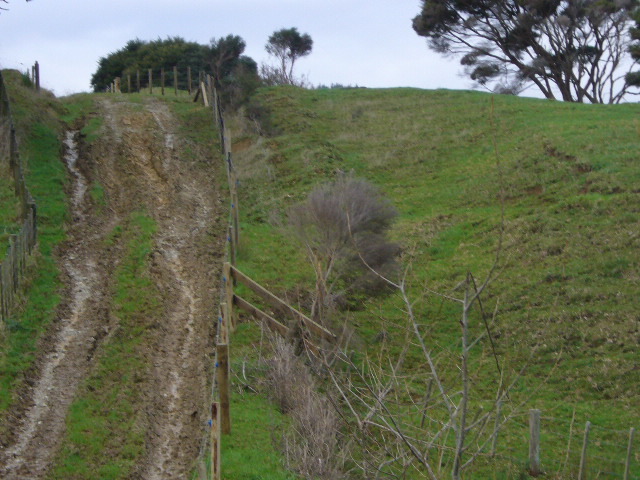 Over the years the cattle had worn down the surface to such an extent that when it was wet, the race was virtually impassable, even for a 4WD. It was therefore of utmost priority that we fix the race as we need year round, all weather access to the planting sites. 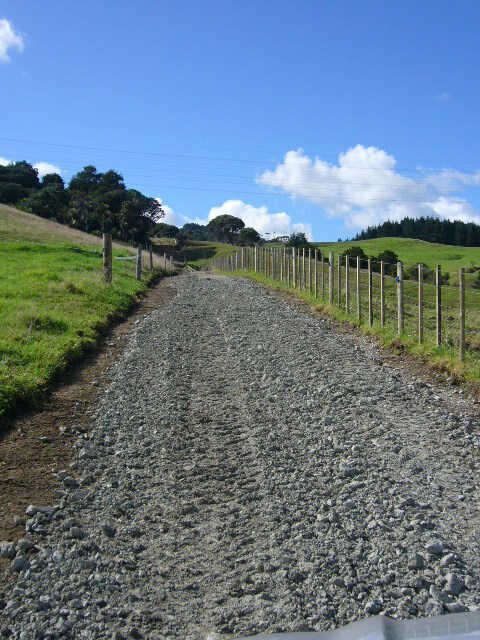 We undertook a major project in 2009 and 2010 to upgrade the race to a proper unsealed metal road. 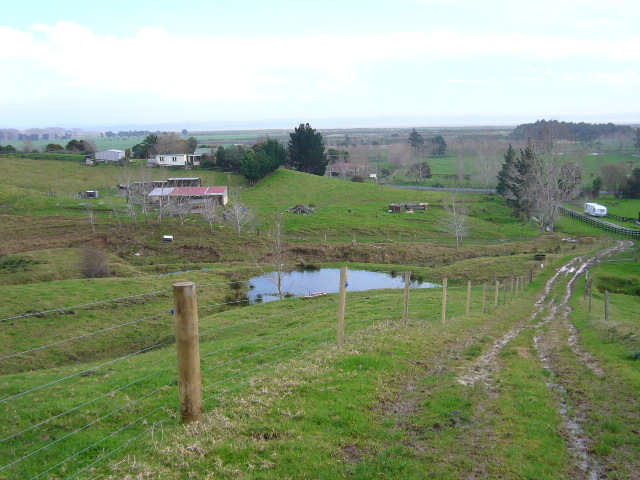 We put in pipes to channel the water flow from the streams away from the race and into the headwater gully and we also diverted the race in some places to better follow the contours of the land so as to enable better access.